The weekend of 19th/20th September i very bravely took my 4 children (and husband) to The Good Life Experience in North Wales. It was a new festival that i had discovered quite by accident after doing my monthly nosey at the Pedlars website. Let me explain a little bit more about the reason i was having a nosey, i have a Pedlars 2010 brochure as my inspirational motivator. Everytime i am finding my own business life too stressful (running a little creative space and shop in Shipley, West Yorkshire) i have a look at their brochure and marvel at their successful enterprises, all achieved whilst caring for their 6 children! So if i am feeling a bit exhausted and overwhelmed i take another peep at their catalogue and give myself a good talking to. If they can manage with 6 children then surely i can manage with just 4! Anyway, i took my family including an 11yr old, 8yr old, 3 yrd old and 18 months old and husband the 2 and half hours down to the festival. We had a slight problem in the beginning where we ended going the wrong way up a little dirt track into the middle of the woods whilst exclaiming, "ooo it's very rustic isn't it?" until we came accross a dog walker and he informed us of our mistake, oops! 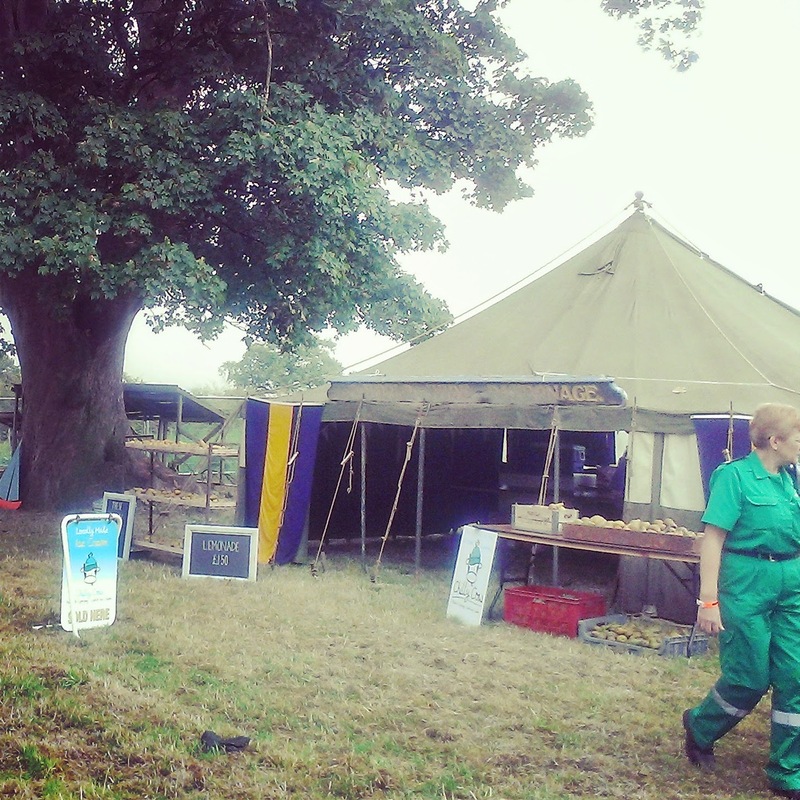 The campsite was a lovely little scout site, basic but picturesque, we got through the trauma of putting up our tent in the near dark and ate our chilli con carne that i prepared earlier (maybe i was a scout in a former life!). We took at little walk down to the campfire and it was sooo nice! the candlelit pathway was so pretty and the camp fire area at the bottom was full of happy folk drinking ale and having a jolly good time with a massive blazing fire. Now i do have to say, this was the poshest festival i have ever been to in my life, and as someone with illusions of grandeur that was the happy icing on the cake for me. Charming posh accents were everywhere even from the teenagers, a far cry from the last festival i went to, Leeds festival (a little bit crazy and little bit scary!). I tried putting on my poshest voice but the loveliness of everyone else's voices always seems to accentuate my broad Yorkshire tones. I even spotted co-organiser, Cerys Matthews from Catatonia and Radio 6, down by the campfire, i was so so so excited, but was trying very hard to play it cool. Unfortunately, it was at this point my littlest one decided to wriggle and scream to be let out of his carrier, so i didn't quite manage, the 'hey, Cerys, looking great!' line i was going to go for. As you can probably tell i am so not cool, not matter how hard i try! I really think, as a grown woman, i should probably stop taking my lines from the 'Fonz' in Happy Days! 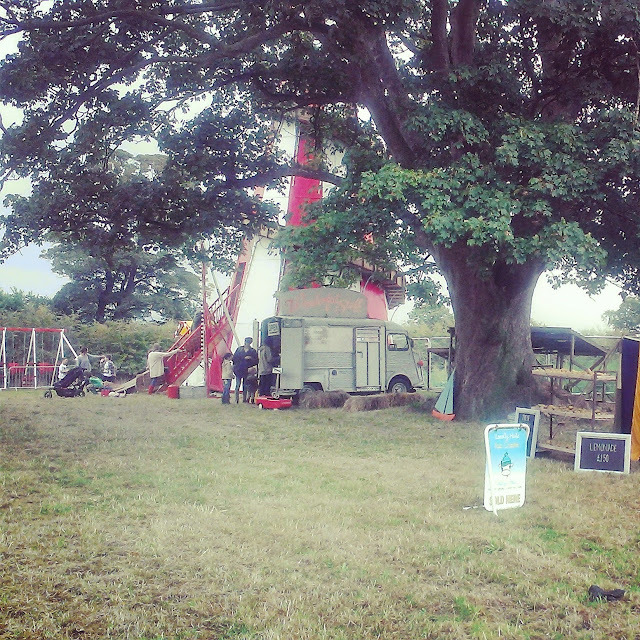 The next day we stepped out of our tent, to the excited yelps from our children having spotted the huge helter skelter at the end of the field, hurah! festival day!! The weather held up most of the day, we did get a good soaking in the middle, but that is traditional isn't it? 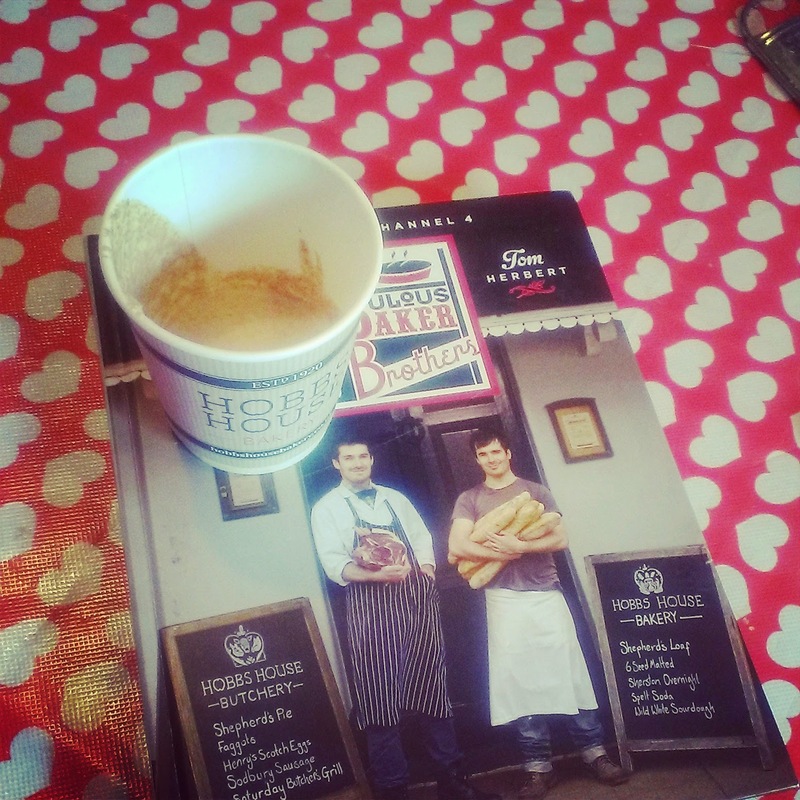 I was very excited to see Tom Herbert of the Fabulous Baker Brothers, he did a really great talk around the campfire, we even got a portion of sourdough starter at the end, v exciting! i will be bragging about it to everyone who will listen (don't tell anyone but i did have to scrape a bit of mould off it first because i left it too long before starting the feeding, but i am sure it will be fine, tee hee, only we will know! it is now bubbling away nicely. Probably adds a bit of extra tasty character). Later Tom shook the hand of my eldest which he was very pleased about. The day was so relaxed and lovely, it felt like a real family affair, the Gladstone family were lovely and welcoming and chatting to everyone, as was Cerys Matthews. In the evening we hung out in the music tent and it was brilliant. You never know whether it is a good idea to take small ones out to events in the evening but i am so glad we did, the music was amazing. There were plenty of others with children there too so it was fine. The CC Smugglers with Cerys and Paprika were real highlights. It is amazing how little ones sleep so well in a sling even when music is blasting out. I can whole heartedly say it was the best family festival i have been to and we will be back next year without a doubt, it is the perfect size for families, you feel safe letting older ones roam free a bit, and the only person i saw who looked to have drank too much was a lady of about 70, who managed to do some kind of leap head first over a tent rope in the music tent (much to our stifled giggles!). p.s. unfortunately myself or my husband did not consider the fact that we wouldn't be able to charge our mobile phones or camera and therefore only have 2 very poor pictures from the festival, oops!